The seeds of a new, high-energy dance music were planted in the 1940s on a tract of land just north of Carolina Beach, stretching from the river across the peninsula to Myrtle Grove Sound in a lively resort community called Seabreeze. Now, as the decade turns, it becomes the destination of choice for black families from near and far. Segregation still prohibits blacks from entering white hotels and clubs, such as those in Wrightsville Beach to the north. Seabreeze becomes not just a wildly popular haven for black families seeking leisure, but also a place that helps transform the musical soundscape of the South — and the nation. A hundred years earlier, Alexander and Charity Freeman, “free colored persons,” had acquired about 180 coastal acres. Their son, Robert Bruce Freeman, illiterate but shrewd in business, acquired more land — including Gander Hall Plantation and Sedgeley Abbey Plantation, with its majestic mansion, for a total of 2,500 acres — at the going rate of 15 cents per acre. Eventually, he held more than 5,000 acres. He donated land for a school and a church campground, attracting as many as 3,000 people to a camp meeting. Later generations of Freemans farm the land and fish the waters offshore, harvest timber and distill whiskey, and sell granite and clay. And they intentionally work to turn the waterfront acreage into viable commercial enterprises. Gradually, the ocean beach and inshore land become a place where blacks can swim, dine, and dance without interference from their white neighbors. In 1913, some of the Freeman heirs sold a tract of land just south, on the north boundary of Carolina Beach, and when those seaside lots were sold, blacks were prohibited from buying them — thus eventually hemming in the Freeman beach property without its own road access. Visitors then had to swim the narrow sound or wade across to the ocean beach at low tide — or be ferried in small boats. Meanwhile, cottages sprang up — not just rude structures, but attractive, upscale bungalows that are described by a Harlem-based columnist as “swank,” occupied by “a sporting crowd dressed in linen suits and driving roadsters.” In 1924, Tom and Victoria Lofton of Wilmington completed construction of the Russell Hotel at Seabreeze, a three-story resort offering 25 airy rooms, a restaurant, and, perhaps most important, a dance hall, inaugurated with a performance by Frank Herring’s seven-piece orchestra. But Shell Island survived just three summers before its main buildings were destroyed by a spate of suspicious fires “of undetermined origin.” Investors abandoned the ruined resort in 1926. Wrightsville Beach officials began passing ordinances restricting black bathers to the northernmost tip of the beach and prohibiting them from promenading on the boardwalk, where they could be seen from white-owned cottages. Seabreeze became an even more prominent leisure haven for the black community, and in the 1920s, Ellis Freeman sold lots that offered full access to the beach and encouraged black entrepreneurs to set up restaurants and hotels. By the 1930s, Seabreeze was going strong. A decade later, it counted three hotels and 10 restaurants — such as Sadie Wade’s, which specialized in deep-fried clam fritters that sold for a nickel apiece. Seabreeze also had a bingo parlor, a pier, acres of clapboard cottages in neat rows, bathhouses, and a dance pavilion. In the summer, it hosted a carnival complete with a carousel, a Ferris wheel, and other rides — and a sideshow run by Snake Man and featuring the Woman with No Body. During the war years, the Federal Works Agency built a bathhouse for the many black servicemen stationed in the area, including the first black Marines at Montford Point. Buses ran from Camp Davis and Montford Point to a “Jim Crow loading zone” in Wilmington, where other buses took the servicemen to Seabreeze. Gambling and moonshine were readily available. Because the Carolina Beach police wouldn’t let blacks drive through that community to get to Seabreeze — which was separated from the soundside resort by the Intracoastal Waterway — boats continued to ferry families across to the beaches. Besides the hotels, Seabreeze had more than 30 “juke joints” that offered dancing to the hottest numbers on a jukebox or piccolo. Some booked live bands that played bebop, boogie, and swing music long into the night for the crowds of fashionably dressed dancers. While black and white audiences were separated by law, their music was not. Two white brothers, Malcolm “Chicken” and Bobby Hicks, grew up going to dances in or near the Hayti district of Durham. 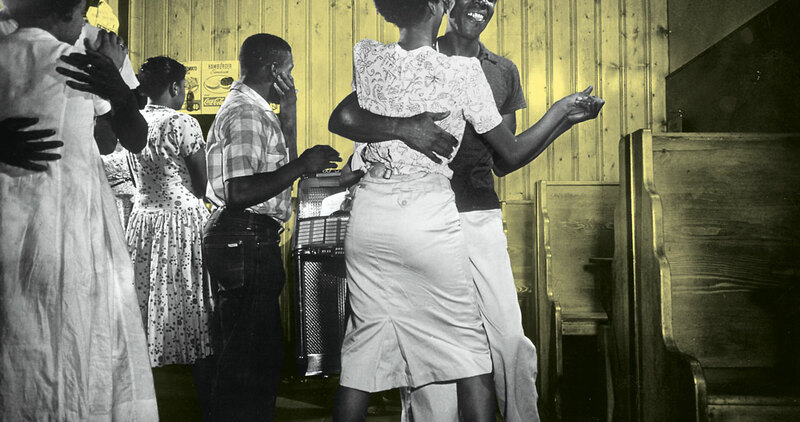 At Skinny’s, a shoeshine shop with a jukebox, they learned to dance to all the hot “race” records — bebop, boogie, and rhythm and blues — music with a beat that drove energetic dancing. By the early 1940s, the brothers were in Carolina Beach. They got to know the vendors who stocked the jukebox records. Chicken persuaded one jukebox owner to stock some black records, and all of a sudden, the music of Seabreeze was playing all over town. Teenage white “black dancers” filled up the joints. Seabreeze reaches peak popularity in the 1950s. Tourists can book a room at the Daley Hotel, the Hotel Faison, or the Breeze Inn. They can take their meals at the Edgewater Cafeteria or the Tavern, where they can also dance. A new resort takes shape in 1951. Lulu Freeman Hill and her husband, Frank, relocate from Queens, New York, to a tract of land she owns in common with other heirs. The Hills invest their life savings of $30,000 in building Monte Carlo by the Sea, the most ambitious resort hotel yet, a brilliant structure of whitewashed cement featuring a pavilion, bathhouse, and restaurant with dining porches shaded by striped awnings. Now the beachgoers come not only from inland counties but also from South Carolina and Virginia: social clubs, Boy Scouts and Girl Scouts, church groups. Seabreeze — also known as Freeman’s Beach — attracts people from all walks of life. Pulsing dance music is the heart of Seabreeze: Dinah Washington, Chuck Berry, Big Maybelle, Little Richard, and other hot performers blare from the jukeboxes, and players like the Bobby Blue Band and Bo Diddley keep the pavilions jumping with live music. Fats Domino and James Brown check in at the Lofton Hotel for gigs in Wilmington, where they are not permitted to stay in the segregated hotels. But midway through its heyday, disaster strikes Seabreeze. As the 1954 beach season comes to a close, on October 15, Hurricane Hazel slams ashore just southwest of Seabreeze — battering the resort with an 18-foot storm surge and winds of up to 140 miles per hour. All along the North Carolina coast, buildings are torn apart, streets and towns flooded, fleets of fishing boats wrecked in broken piles. At Seabreeze, the result is utter devastation: structures knocked down or washed away, piers reduced to a line of ragged pilings, the beach and soundside deeply eroded by the onslaught of water. Among the casualties is the Monte Carlo. “It had taken away everything,” owner Frank Hill recalls. Few of the owners carry insurance, and those who try to rebuild have to contend with two more hurricanes the following season — Connie and Ione. Some owners, undaunted, rebuild their hotels and dance halls. But the old glory is gone. Seabreeze never quite recovers. The newly dredged Carolina Beach Inlet continues to ruin the shellfishing grounds with sediment and causes greater erosion of the beach — more than a thousand feet of waterfront is lost. The music plays on for another decade and a half, ever fainter, until at last Seabreeze goes silent. The author is grateful for the help of Ann Freeman; William Freeman, and Rebecca Taylor, Manager of the Federal Point History Center. Edwards, Jennifer. “A Color Line in the Sand: African American Seaside Leisure in New Hanover County, North Carolina.” Master of Arts in History, University of North Carolina Wilmington, 2003. “What Is beach Music?” Beach Music Online. “Our Coast: A Shelter During Segregation.” Coastal Review. Bower, Jennifer. April 1, 2008. “Freeman Beach\Seabreeze, Wilmington, North Carolina (ca. 1885- ).” Blackst.org. “Beach Music: History and Myth.” Greaves, Brendan, and Taylor, M.C. South Writ Large—Stories, Arts, and Ideas from the Global South. “Seabreeze not the resort it once was, but the fishing remains.” Hotz, Amy. Wilmington StarNews Online. “Hurricane Hazel, October 15, 1954” National Weather Service. “Oceanside Divide.” Our State staff. Salisbury Post, Feb. 19, 2018. “Seabreeze and Carolina Beach.” Federal Point History Center. “Memories of Seabreeze.” Shakur, Assata. Assata: An Autobiography, Lawrence Hill Books, 1987. “Genre Spotlight: Carolina Beach” Southern Museum of Music. “Seabreeze – A History Part I – The Freeman Family.” Taylor, Rebecca. Federal Point History Center. “Seabreeze – A History Part 2 – The Freeman Family.” Taylor, Rebecca. Federal Point History Center. “Seabreeze – A History Part 3 – The Freeman Family.” Taylor, Rebecca. Federal Point History Center. “Seabreeze – A History Part 4 – The Freeman Family.” Taylor, Rebecca. Federal Point History Center. “Seabreeze – A History Part 5 – The Freeman Family.” Taylor, Rebecca. Federal Point History Center. “Seabreeze – A History Part 6 – The Freeman Family.” Taylor, Rebecca. Federal Point History Center. 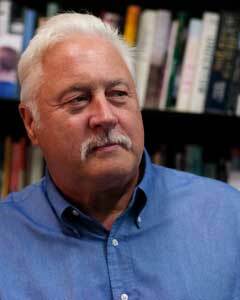 “History of Seabreeze inspires a call for stories.” Steelman, Ben. Wilmington StarNews Online. 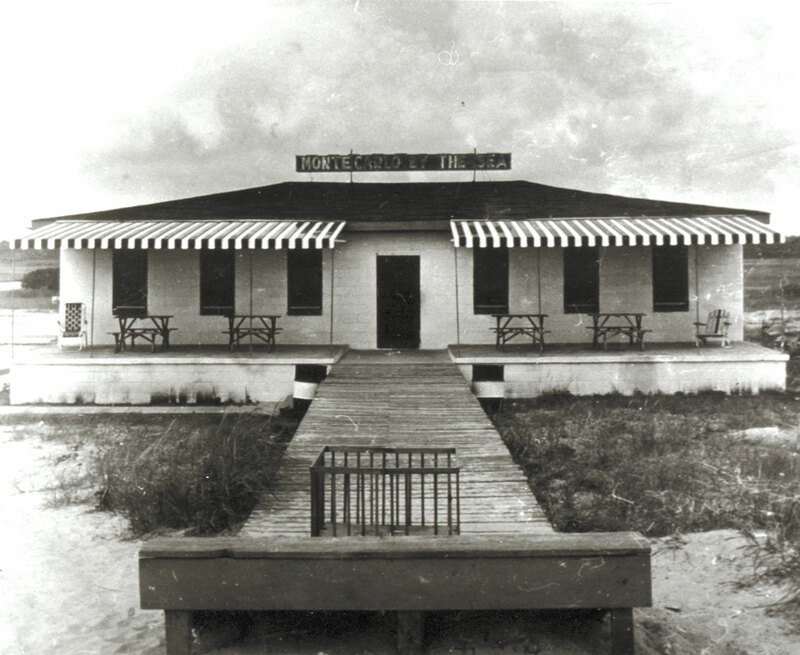 “Seabreeze Beach Resort, New Hanover County, NC.” Federal Point Historic Preservation Society..